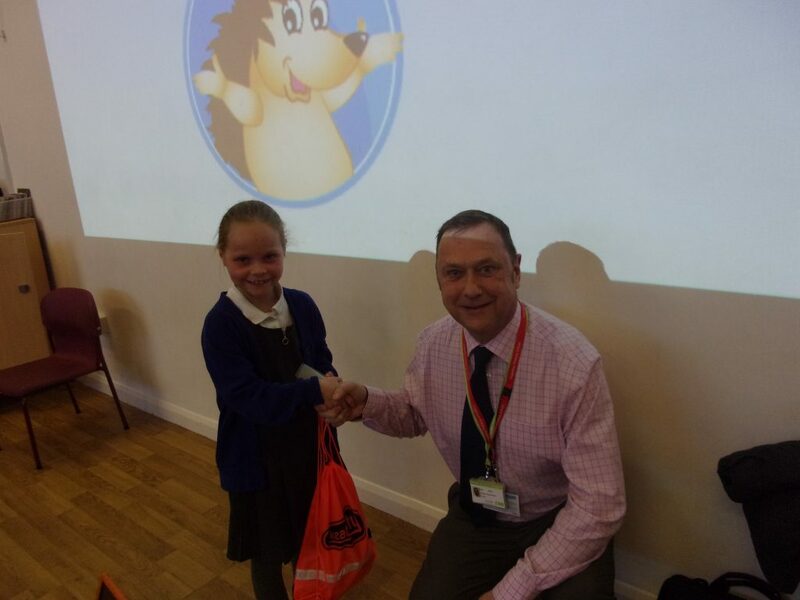 The School Council welcomed Jane, from Dolce, who provide the school with our hot meals. 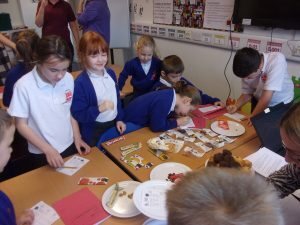 Their job was to take on the role of a focus group, by informing Jane about their thoughts and opinions about food and the school meals, in general. They discussed their favourite vegetables and meals, as well as, those foods and meals which were less appealing! A super example of teamwork and communication. 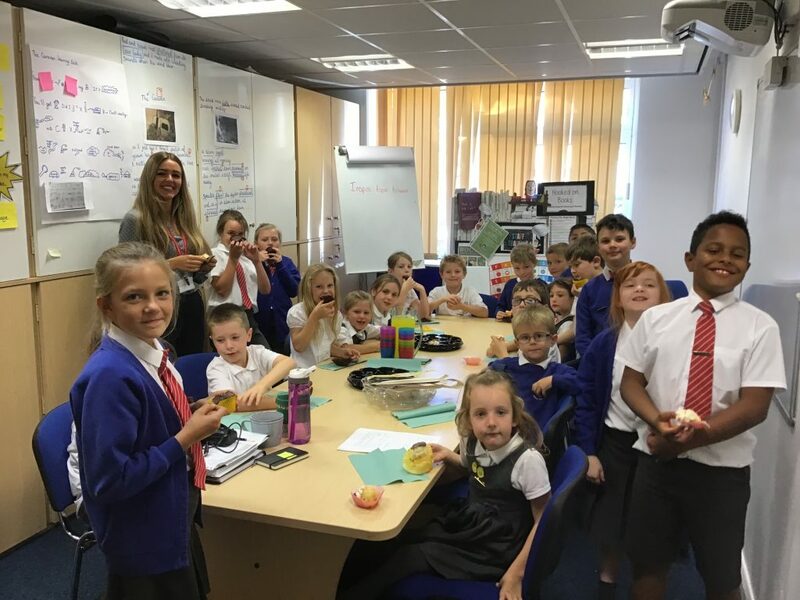 We will be inviting Jane back to meet the School Council to discuss fruit and desserts. 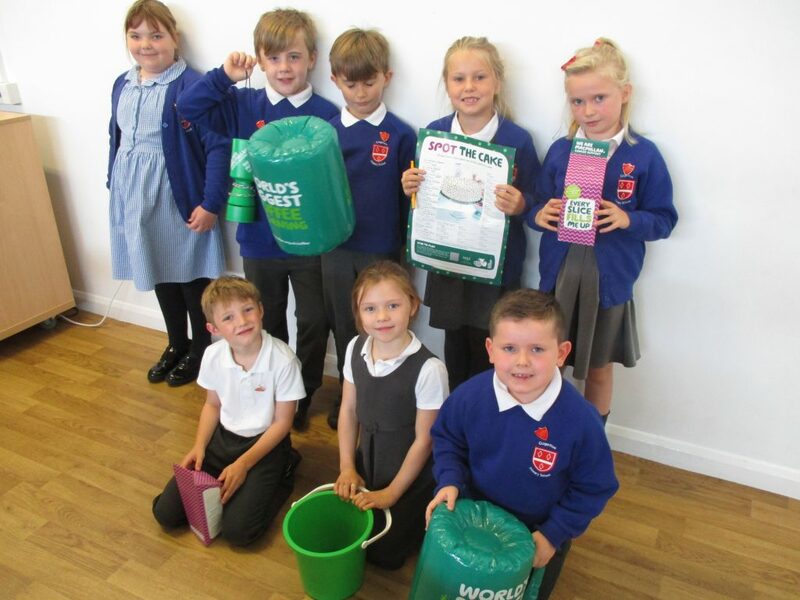 We’re already halfway through our school year, and the School Council have been very busy. 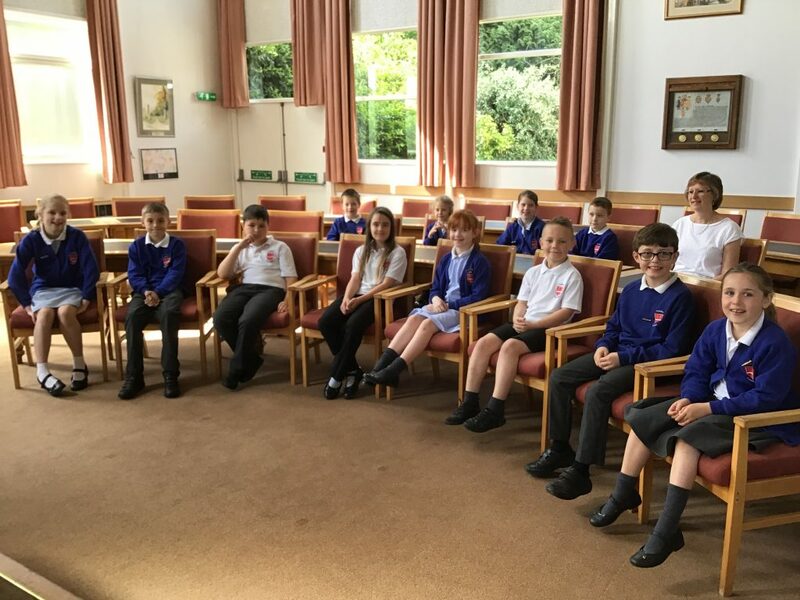 They are currently planning lots for the remainder of our school year. 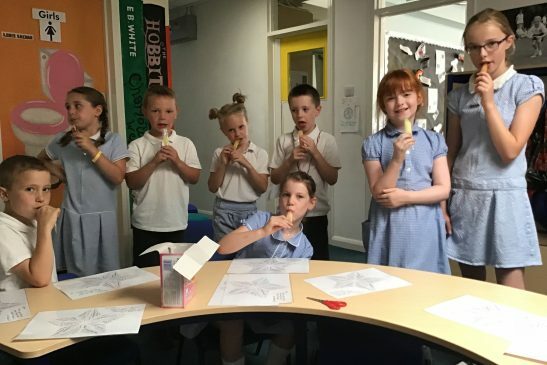 Take a look at what they have been up to by reading their Newsletter. Cogenhoe was full of festive cheer on Christmas Jumper Day, with children also donating money to Save the Children. 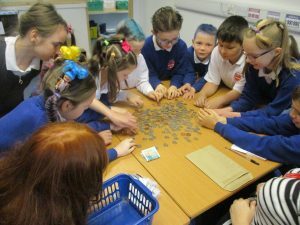 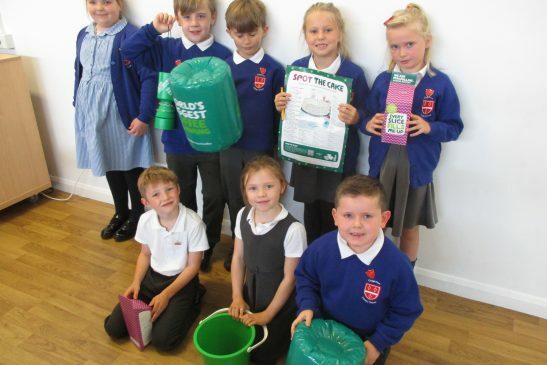 It was the School Council’s responsibility to count up the final amount raised – a whooping £150. 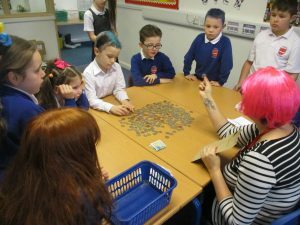 The children displayed great counting skills when completing the task. 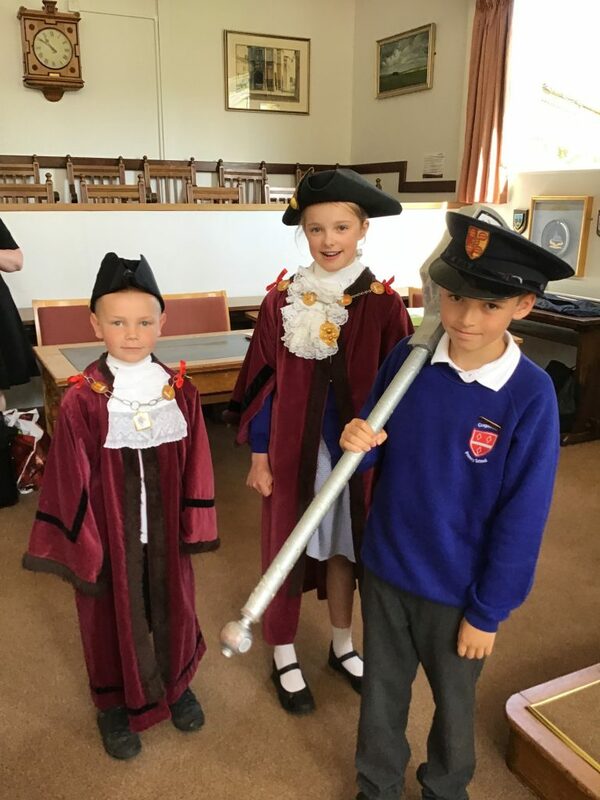 Well done councillors! Issy, our Chairperson, would like to share a valuable message with you all. 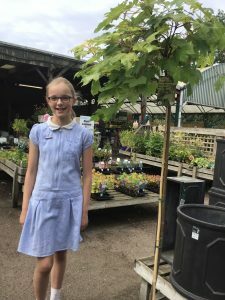 After she saw the quote, she asked if she could let others know, as she thought that it is important to always make the right choices and be that ‘nice’ child or adult. Thank you Issy. 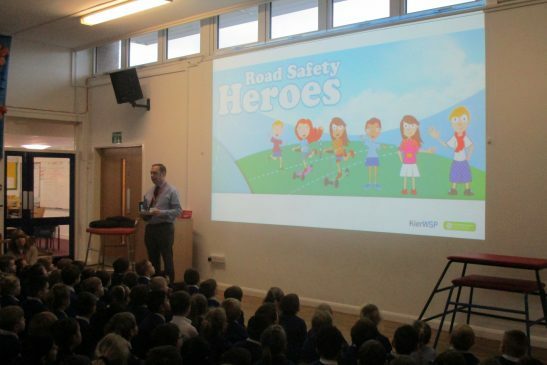 A fabulous start to our Road Safety Week – our Road Safety Heroes held a whole school assembly. Their focus was #BikeSmart & the ‘Green Cross Code’. 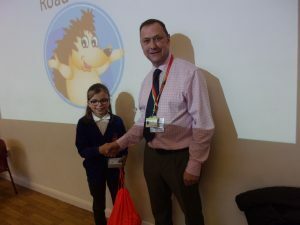 They also announced a Design a Cycle Helmet competition 🚲🚴‍♀️Thank you Brake for helping to educate our children about Road Safety. 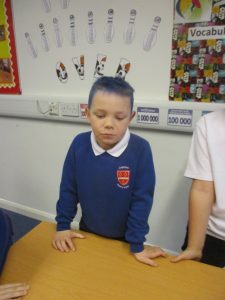 As a part of Anti-Bullying Week, Cogenhoe’s socks and tights were a sight to be seen. 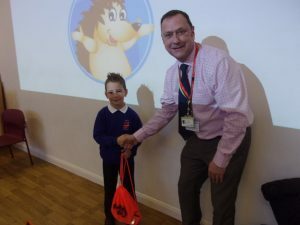 Children were encouraged to wear odd or brightly coloured socks and tights to promote the message that we are: All different and all equal. 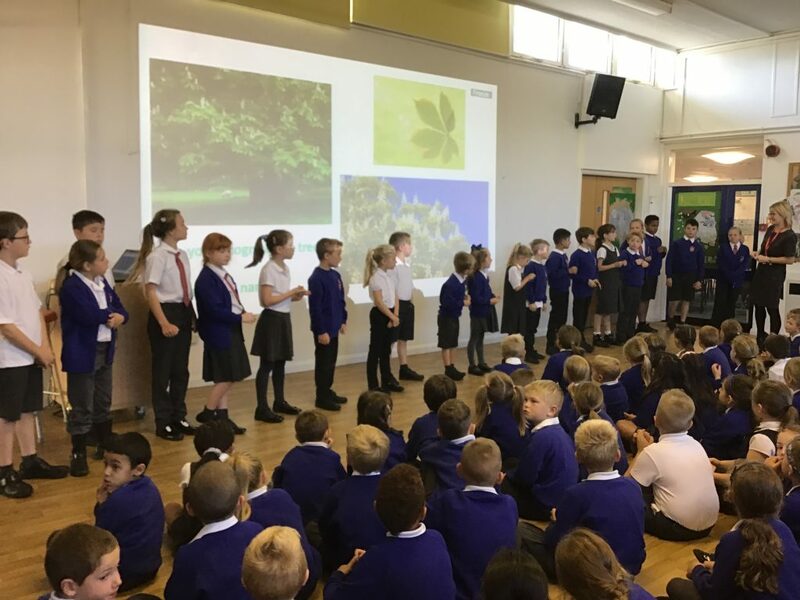 Linked to this year’s theme of ‘Choose Respect’ , the children have learnt about the different forms of bullying, what to do if it happens and what the signs are. 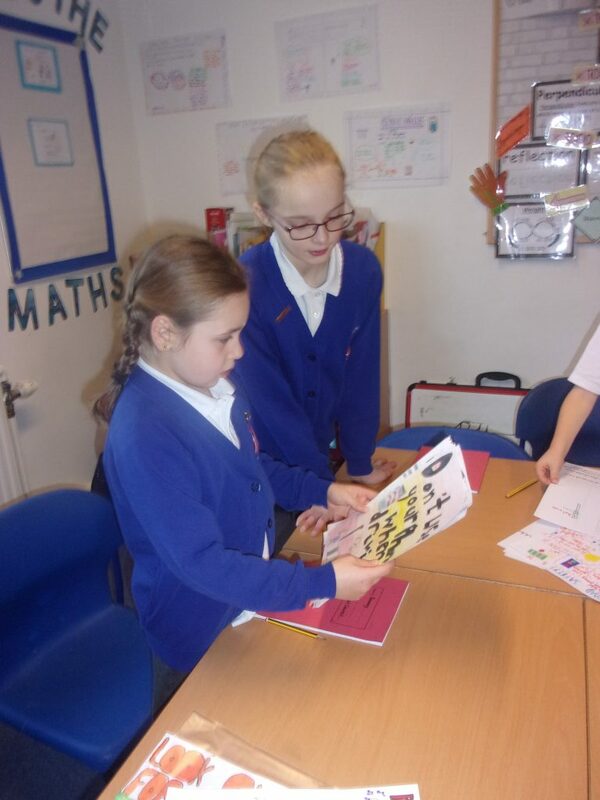 School Council have been busy designing an Anti-Bullying leaflet. Please take a look at their work. 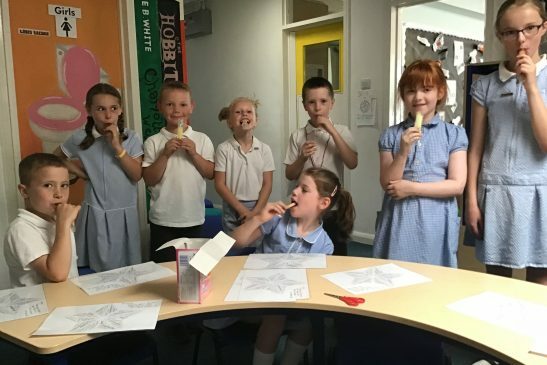 We’ve had a busy couple of weeks as the School Council, with all of our councillors being keen to get stuck in. 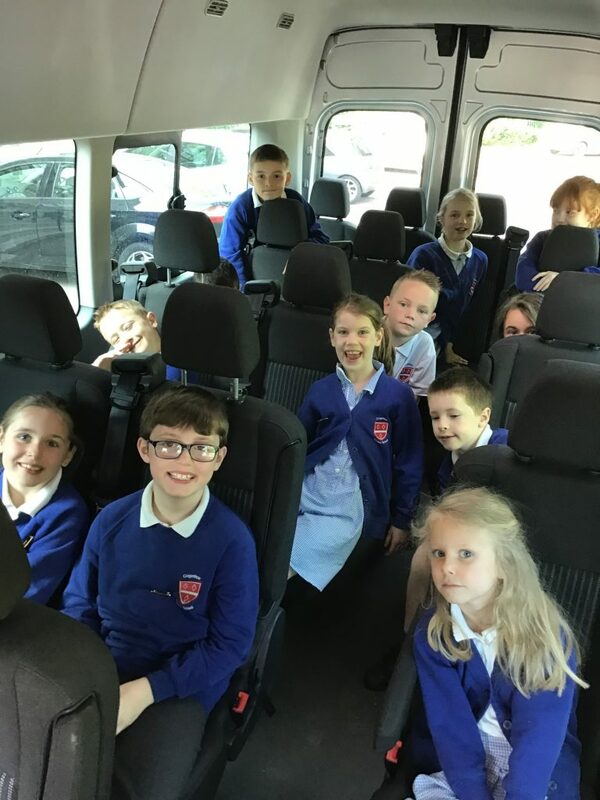 Some of our councillors visited Abbey Primary School to look at their playground, which has given them lots of ideas as to how we can transform our own playground. 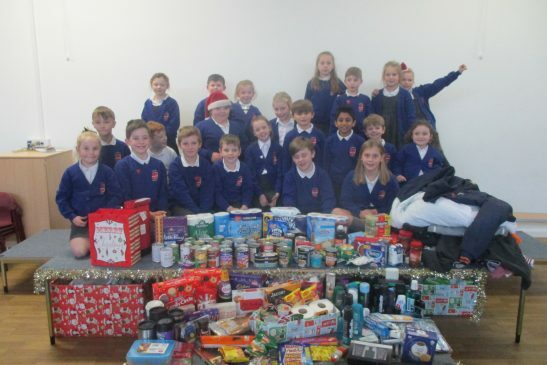 They have also helped to collect all of the food donations for the Hope Centre – which has been a huge success again. 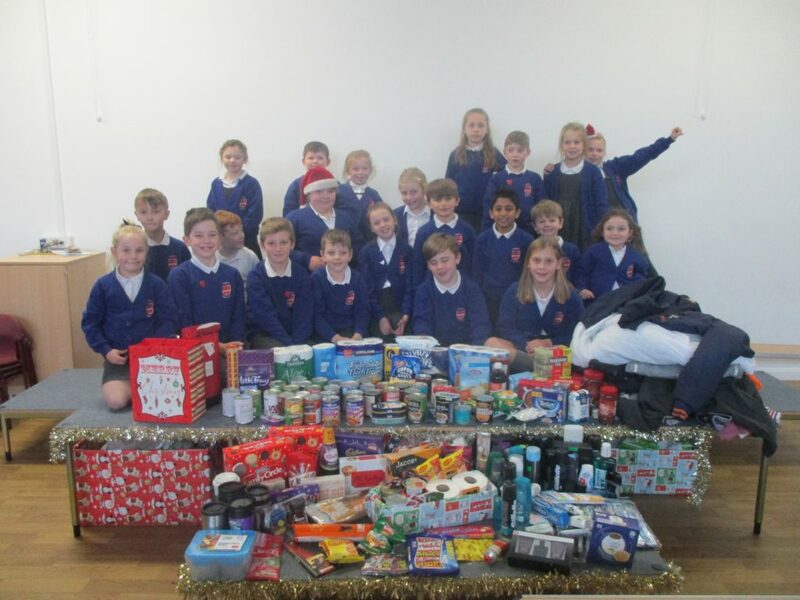 The School Council would like to extend their thanks for the wonderfully generous donations. 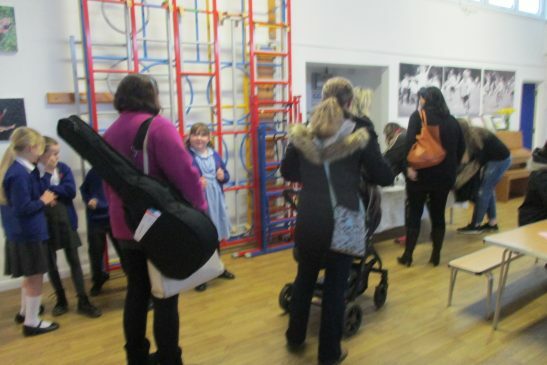 Issy greeted Tanya, from the Hope Centre, when she visited the school to collect the donations. 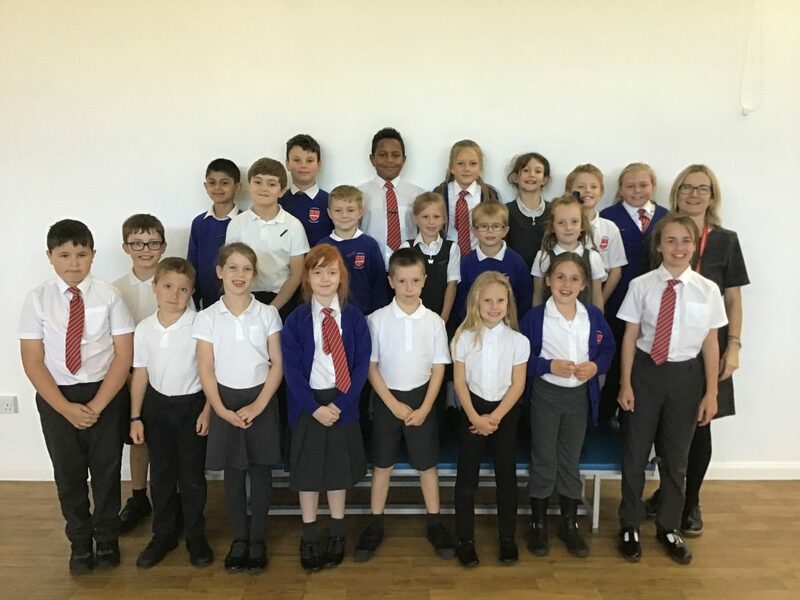 Members of the School Council are also going to be guides and ambassadors during our school Open Days and Evenings. 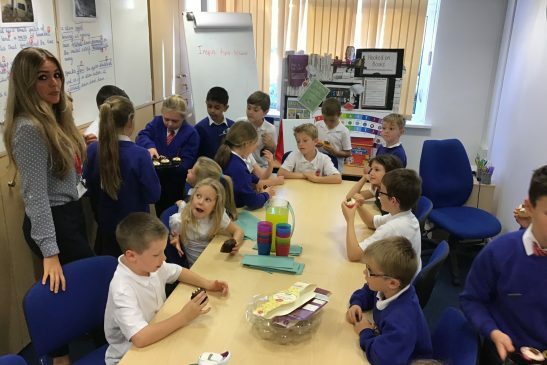 They have also started to plan events for next term. 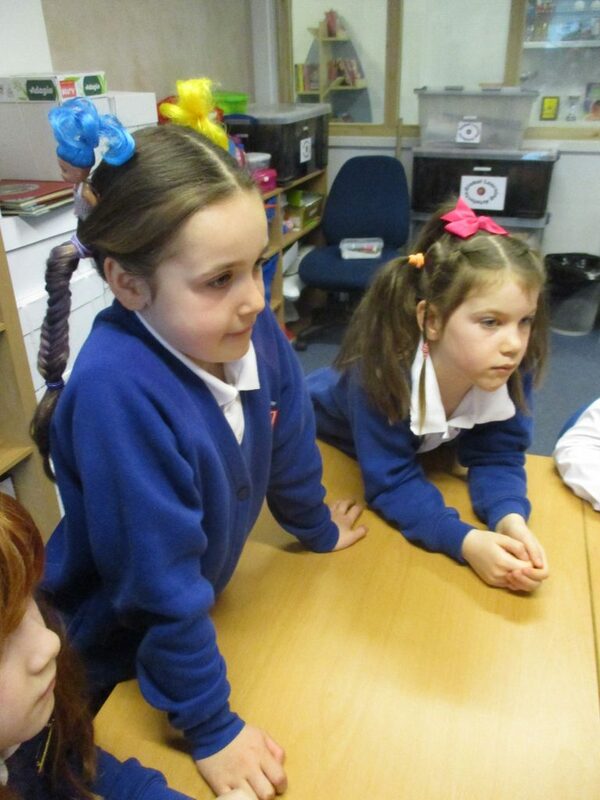 Our secretaries have written a letter, which will be emailed to parents after Half Term, about Odd Sock Day. Odd Sock Day will be on 14th November, and is to raise awareness of Anti-Bullying Week: Choose Respect. 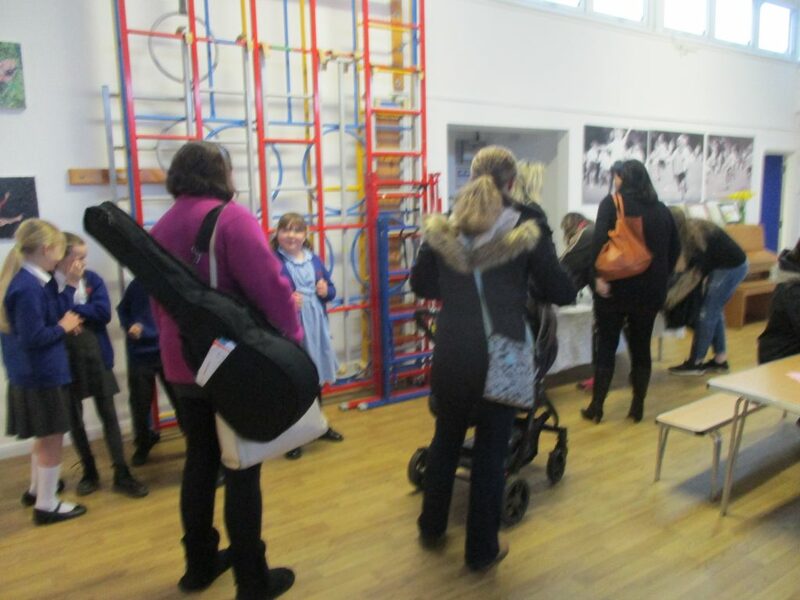 More photos and information to follow. School Council vote for their new roles. 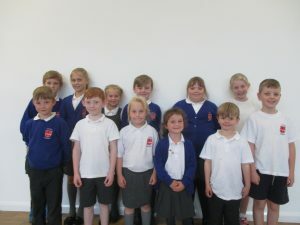 The council discussed a lot of upcoming events and improvements to the playground and lunchtimes. 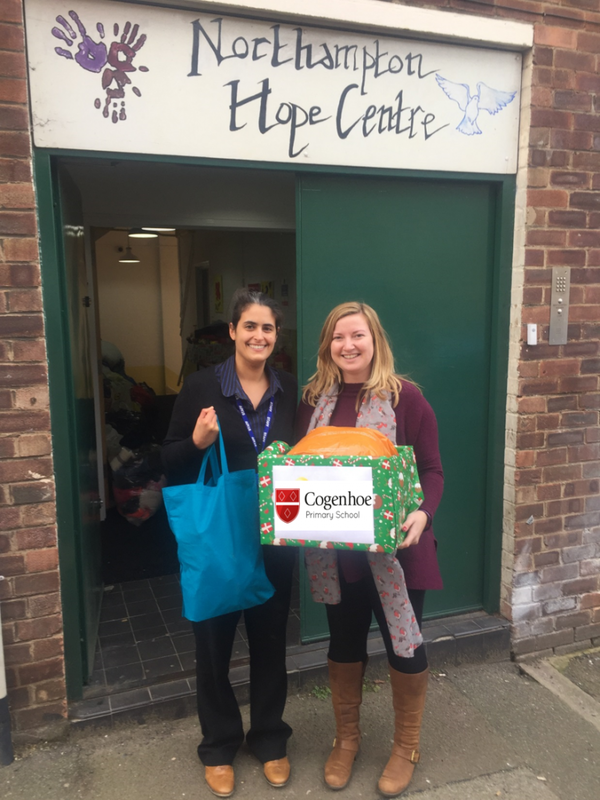 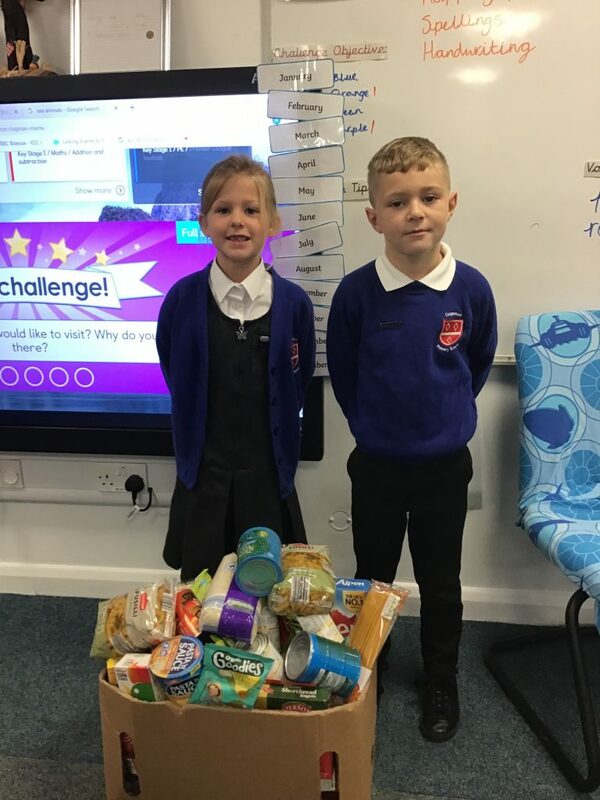 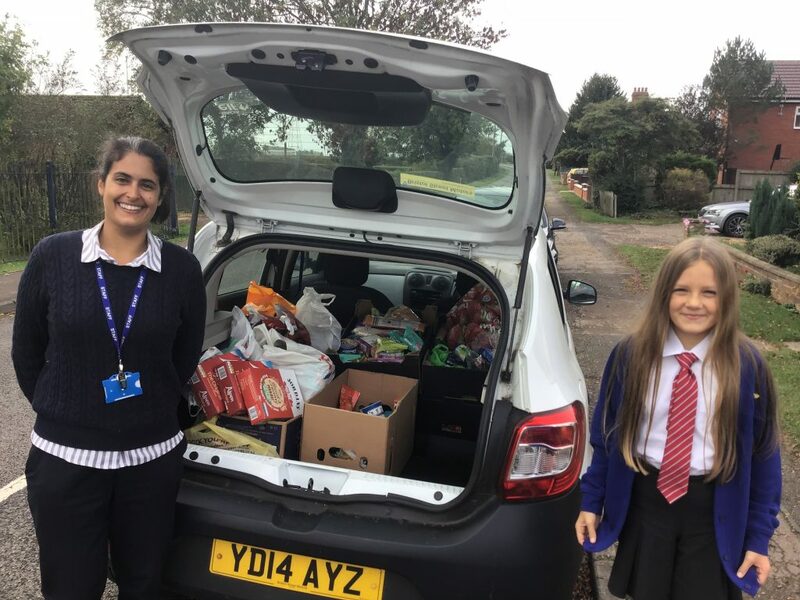 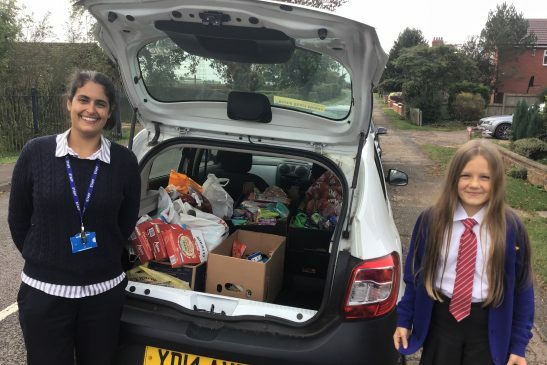 They also were given the task of promoting our Hope Centre hampers to the classes for donations to the Food Bank and to begin planning Anti-Bullying Week in November. Welcome to a new year, welcome to our new School Council. 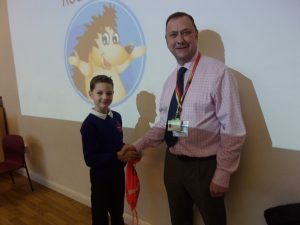 Today was a day full of pride. 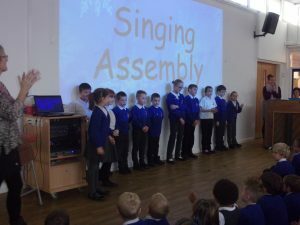 The out-going School Council welcomed the new School Council for 2018-19 and presented them to the school in our assembly. 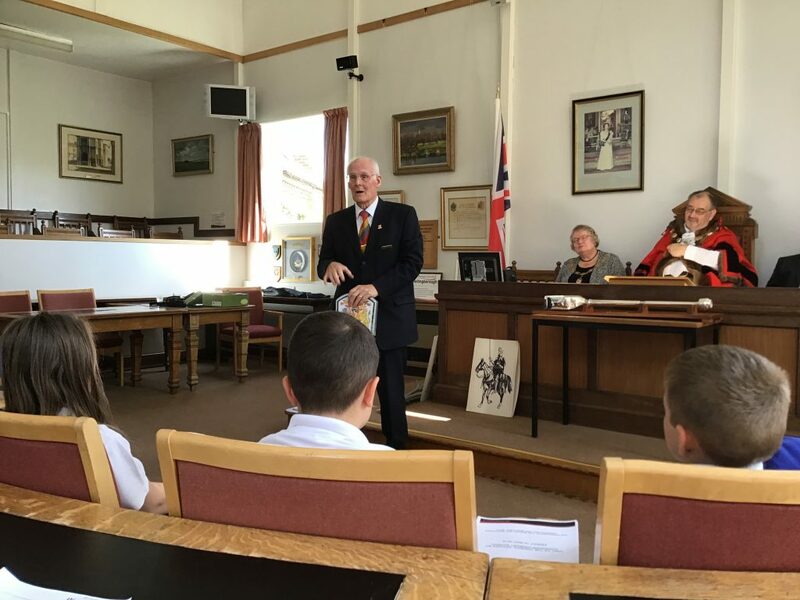 The new councillors were all presented with their new badges and invited to a ‘welcome party’ held by the previous councillors, Mrs Oldham and Mrs Reeve. 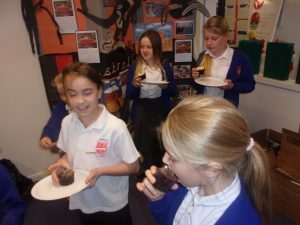 It’s safe to say that everyone enjoyed their cakes and drinks! 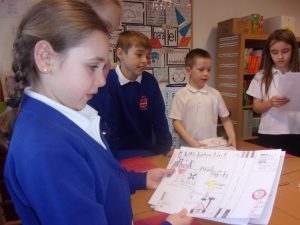 The new councillors also received a letter to present to their parents. 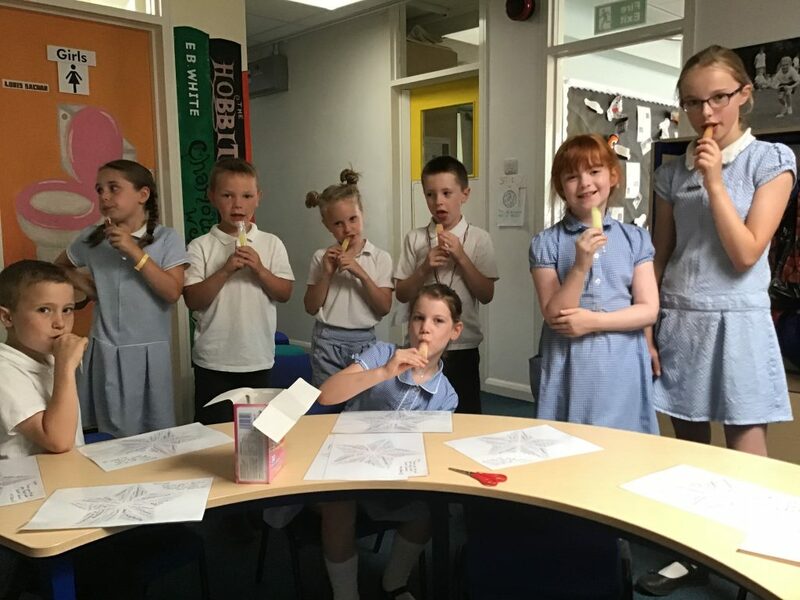 There’s lots of exciting projects for the new School Council to be involved with, so watch this space to see what they get up to. 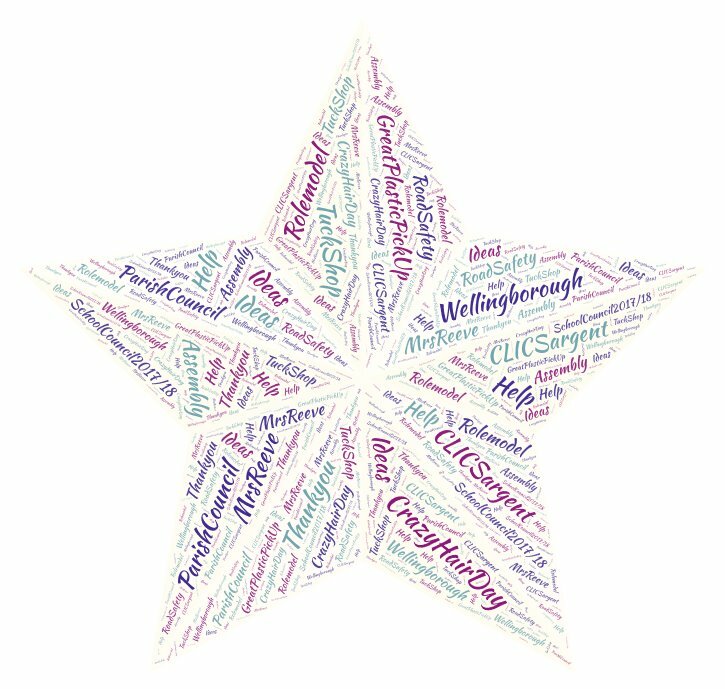 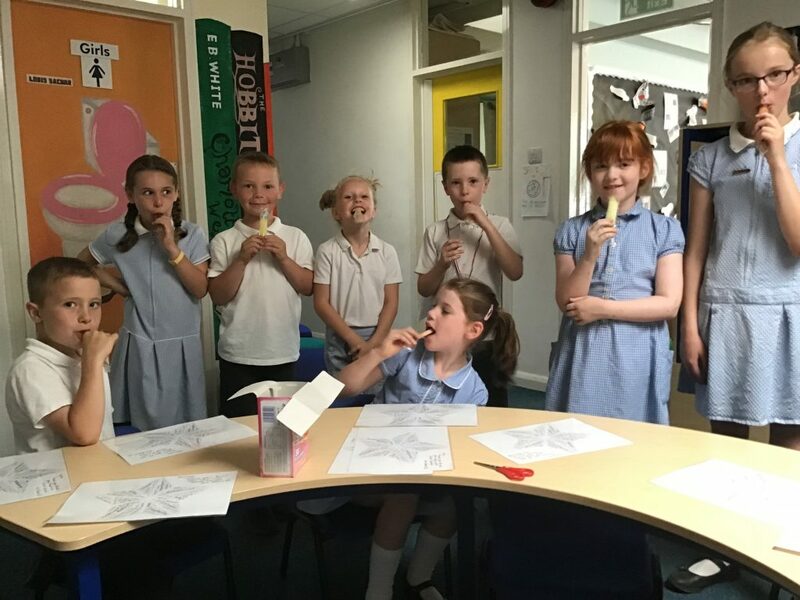 To celebrate their hard work and achievements, the School Council enjoyed an ice lolly and received a ‘thank you’ word cloud from Mrs Reeve. 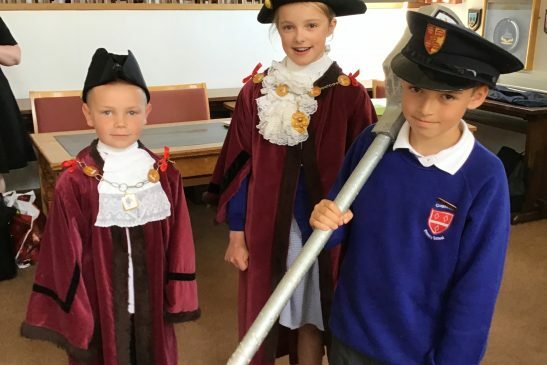 Great work Councillors – you’ll be a hard act to follow. Miriam, Chairperson, helped Mrs Reeve on their visit to Billing Garden Centre, to choose a ‘Celebration Tree’. 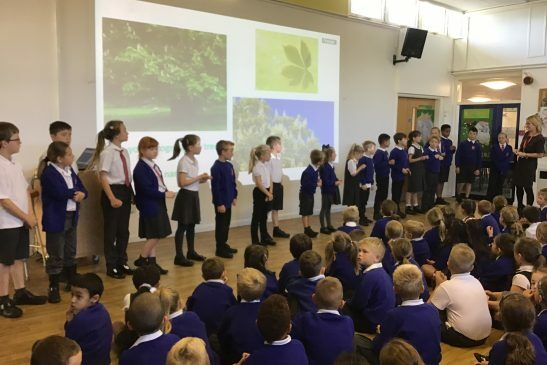 The School Council had the idea to purchase a tree to celebrate the success of our outgoing Year 6 children, so that they leave their mark at Cogenhoe. 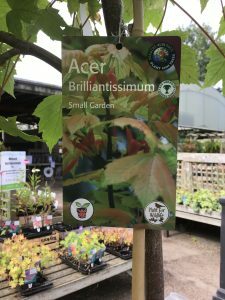 Due to the extremely hot and dry conditions, it is not suitable to plant a tree currently; however we are hoping to plant the tree in September/October. 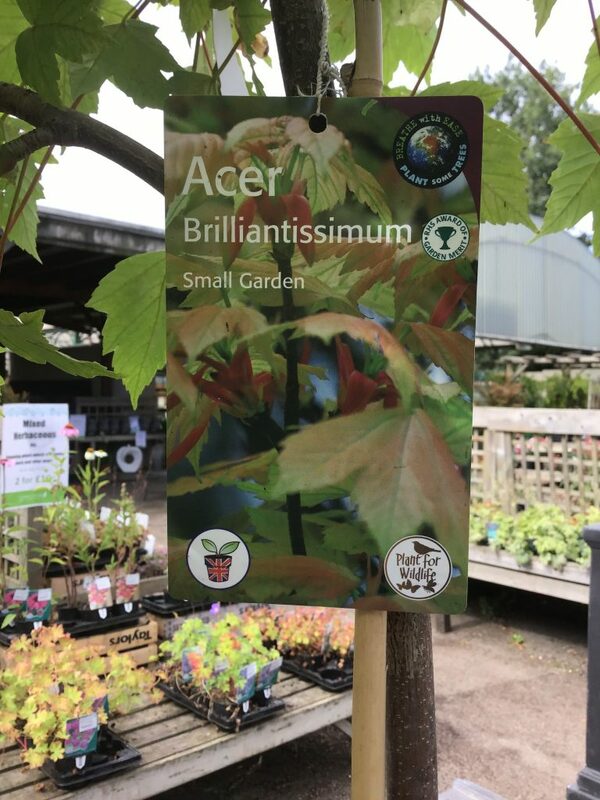 We hope you’ll agree, Miriam made an excellent choice – it’s an Acer Brilliantissimum! 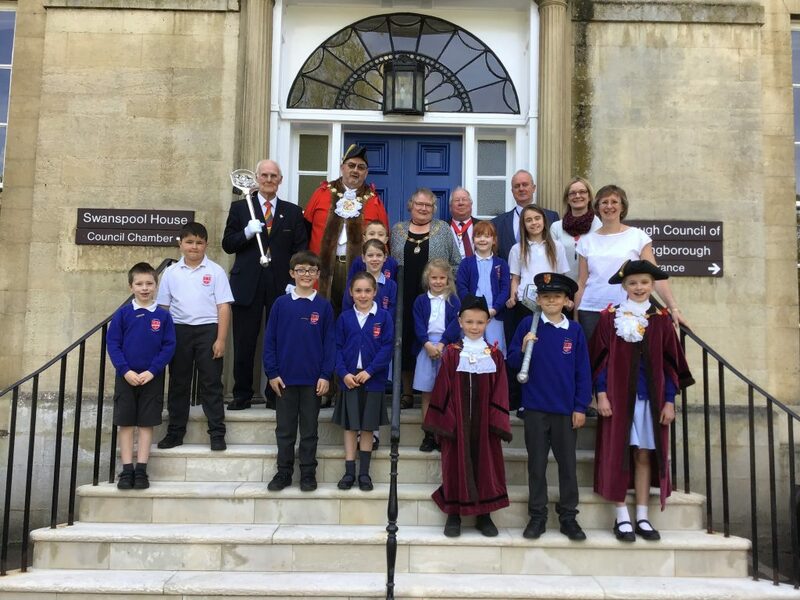 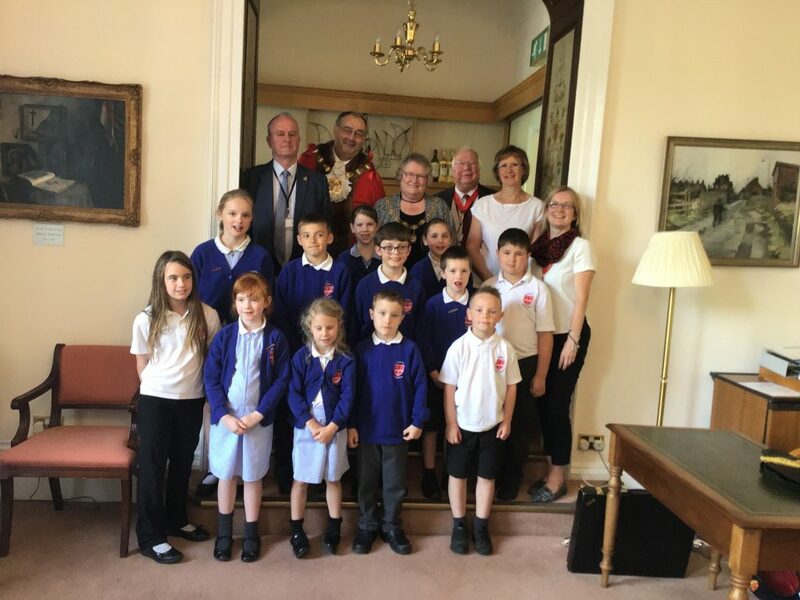 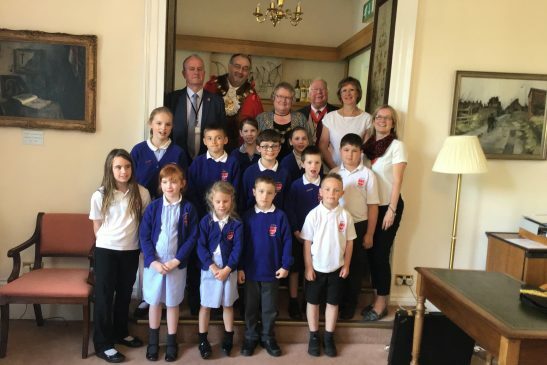 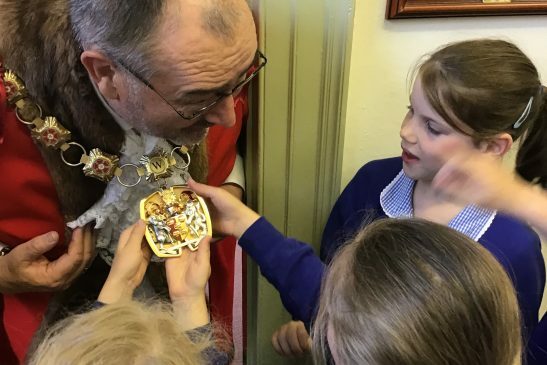 The School Council had the privilege of meeting the Mayor and Mayoress of the Borough of Wellingborough and other Council officials. 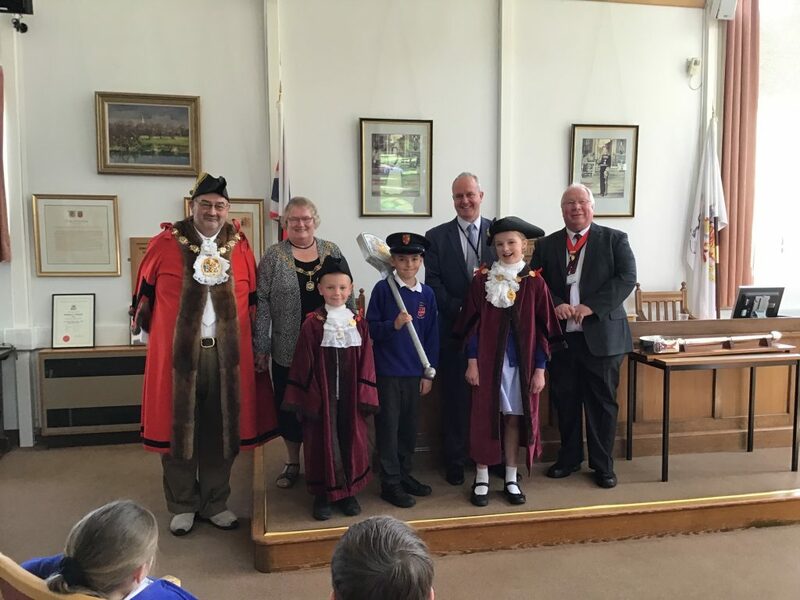 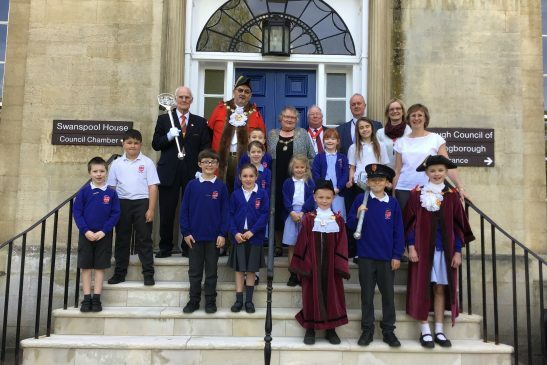 They were welcomed into the Chambers, and learnt about the Mace and other official duties. 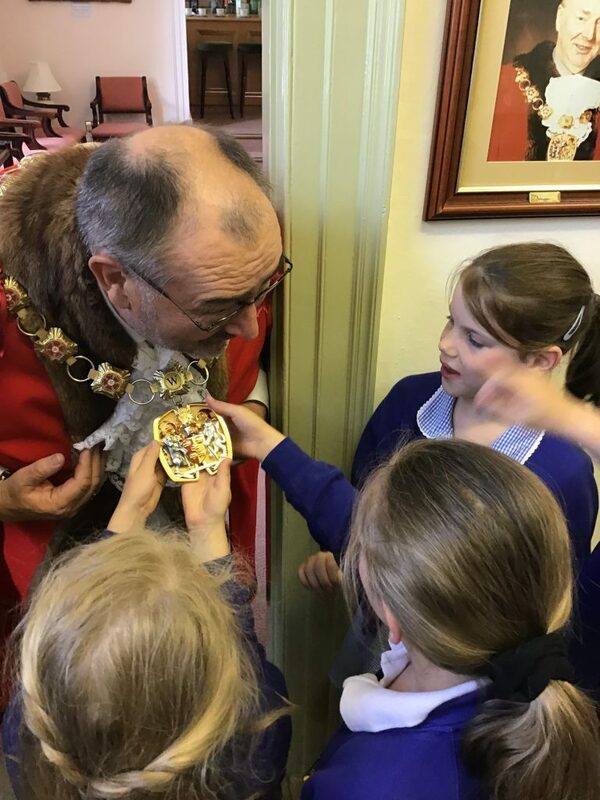 Having learnt about the Wellingborough coat of arms and motto, we now as a council need to investigate our own. 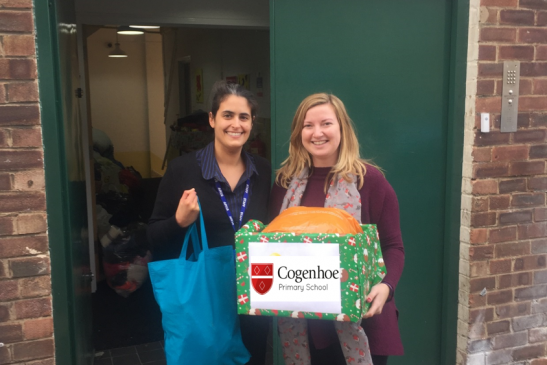 Cogenhoe has gone crazy! The School Council organised Crazy Hair Day to help raise money for the charity CLIC Sargent. They were then responsible for counting the money to see how much was finally raised. 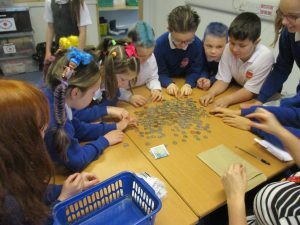 The total currently stands at £150. 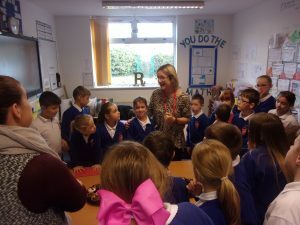 Many thanks to Mrs McCarlie for helping the School Council. Look out around Cogenhoe for our Road Safety posters! 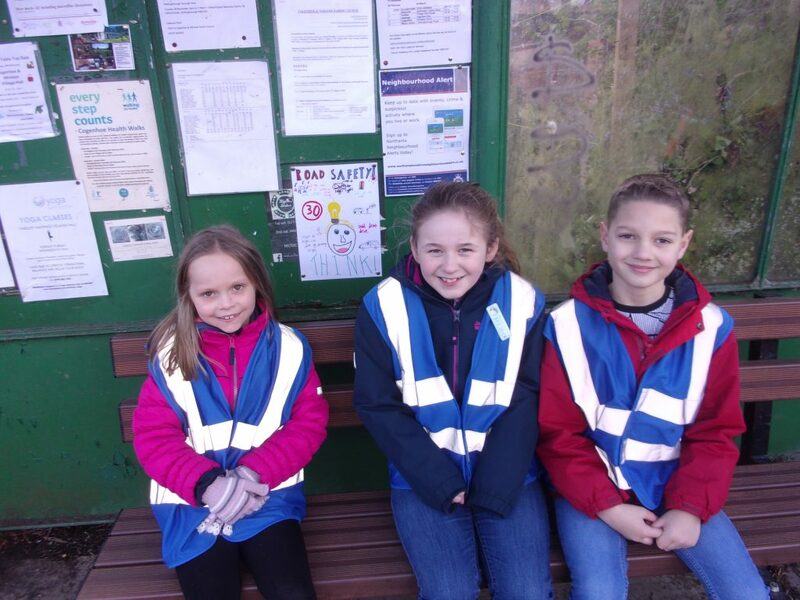 A beautiful morning in Cogenhoe today, so our Road Safety Heroes delivered and displayed Road Safety posters around the village. 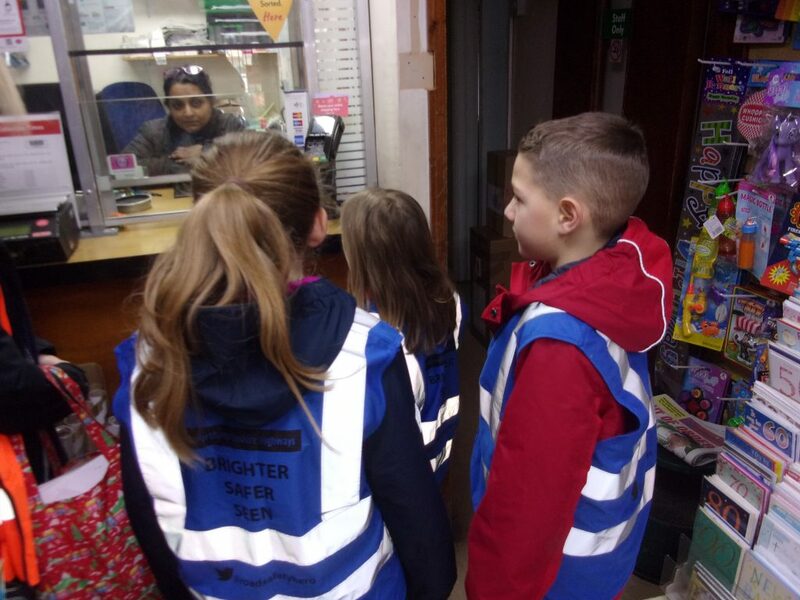 They are dotted all around the village in different locations. 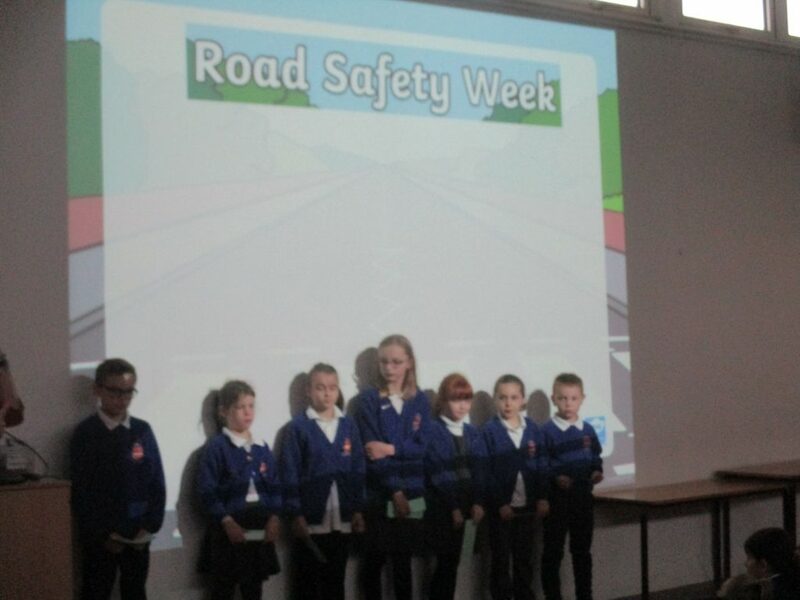 Our Road Safety Heroes represented the school brilliantly. Welcome to our new Road Safety Heroes. 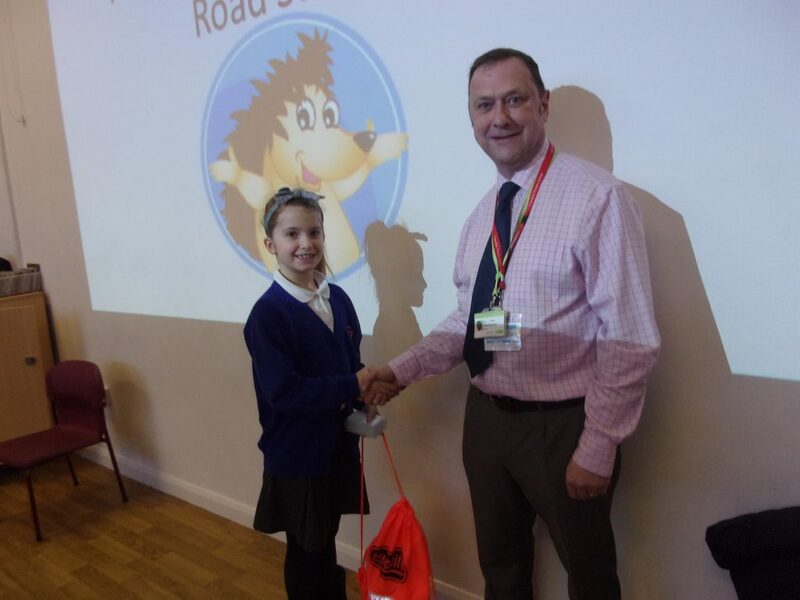 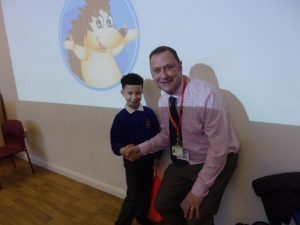 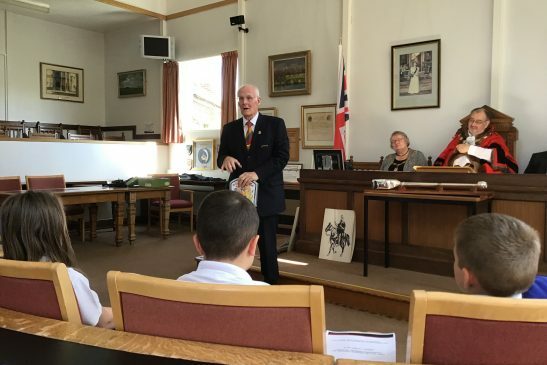 Many thanks to Keith Millard of the Northamptonshire Highways – Road Safety Heroes team, who came to present our new Heroes with their team packs. During the assembly, Keith and Mrs Reeve discussed future plans for the team and how the children and their families can stay safe. 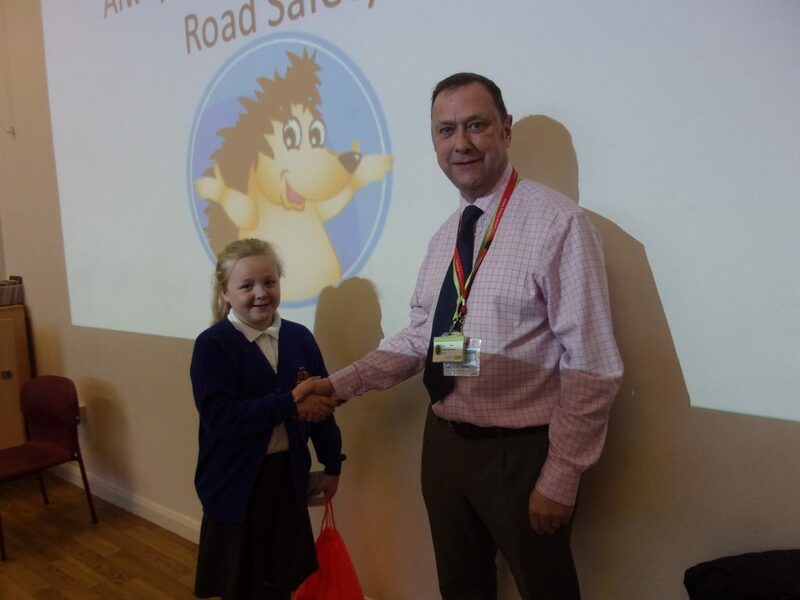 Congratulations to our Road Safety poster competition winners, who we also announced today. With the permission of Cogenhoe Parish Council, the Road Safety Heroes will be displaying the winning posters around Cogenhoe. 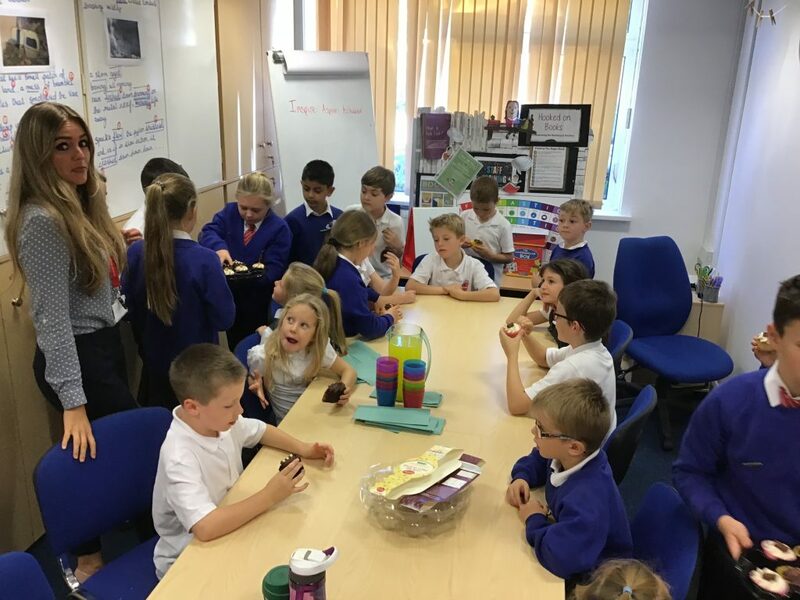 Our School Council have been very busy since they were elected in October. 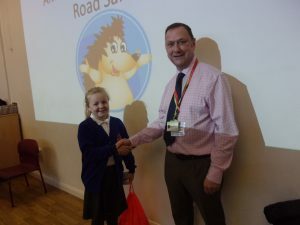 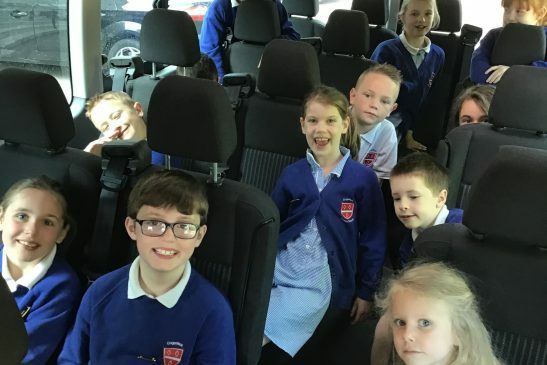 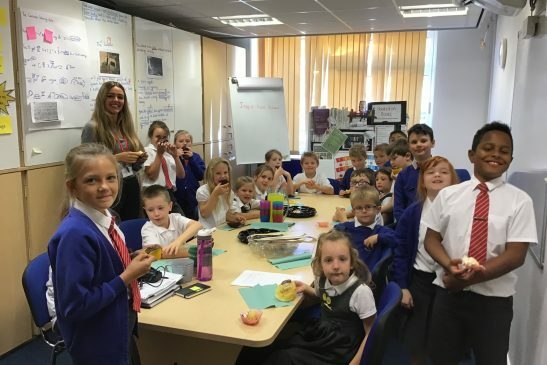 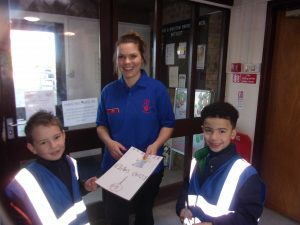 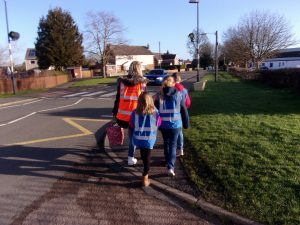 You may have already seen the information about their Road Safety Assembly, their taste-testing session for the re-vamped Tuck Shop and voting for the Road Safety posters – to just name a few of their tasks. 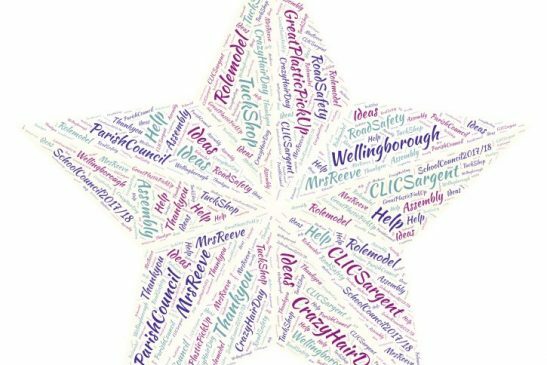 We have lots on our agenda for 2018, with an announcement very soon about our work with the community and charities. 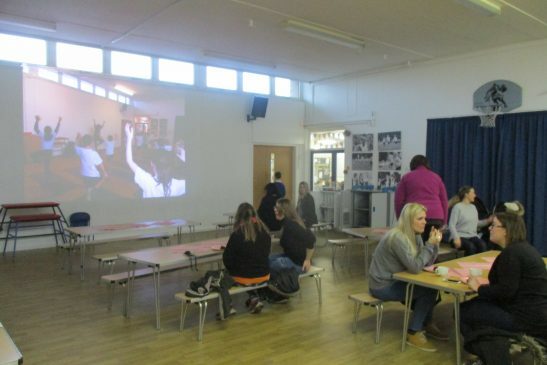 When you visit the school, you will see our new display board in the hall. 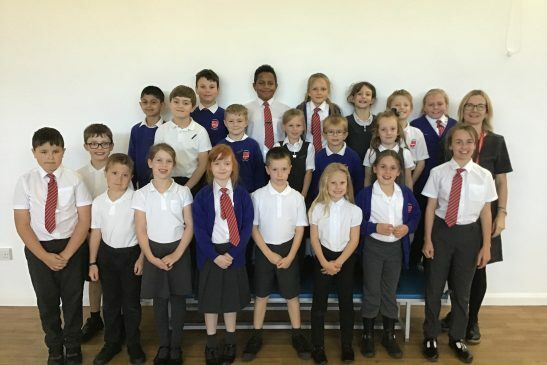 Something new for the School Council will be a news update, which will be provided by our Chairperson, Miriam and Deputy Chairperson, Nyle. 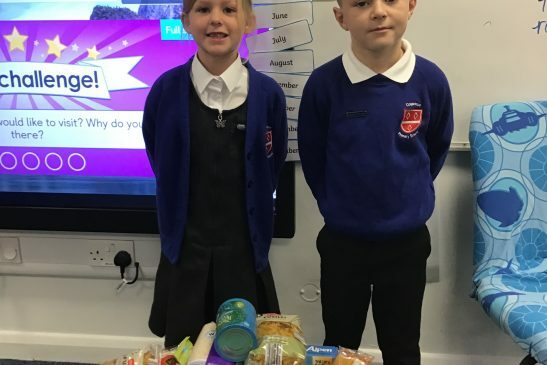 If you have any ideas or projects you would like to share with the School Council, please come into the school and let us know. 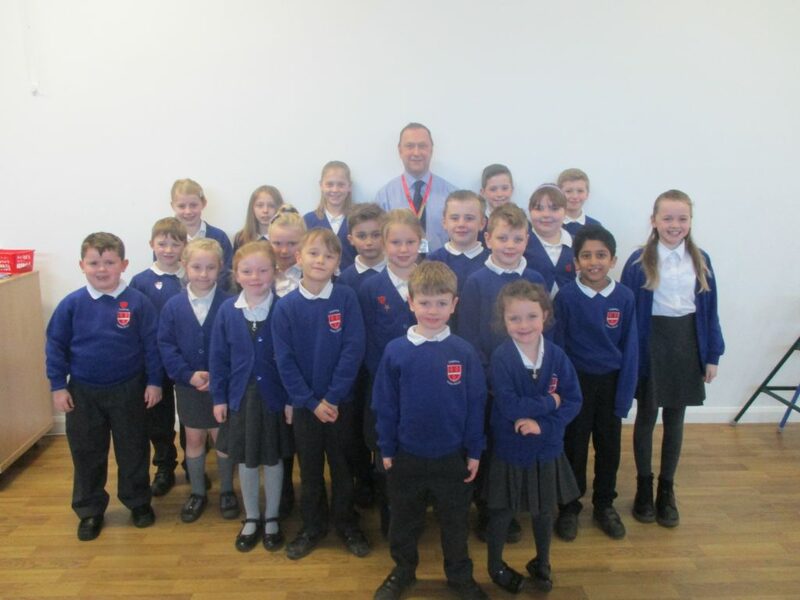 Welcome to our new School Council! 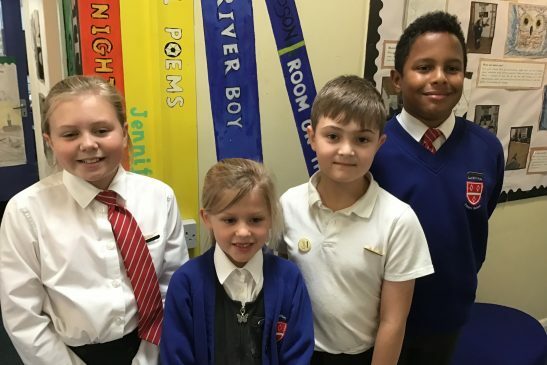 Ali, Jack, Ella, Sammy, Lauren and Joshua – Marketing Officers. 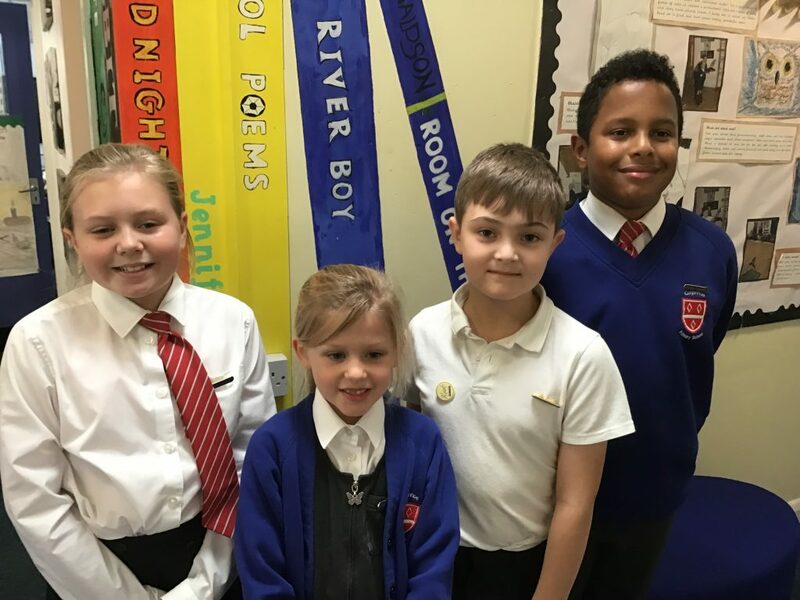 Our new School Council Representatives are going to be elected this week, after they have presented their own mini-manifestos to their classes. 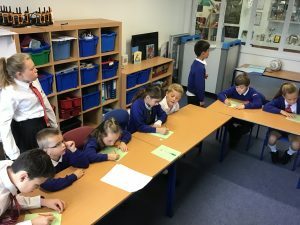 One boy and one girl will be chosen from each class from Years 1- 6. 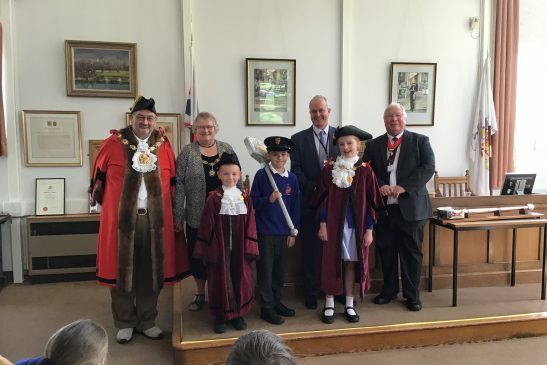 Watch this space for the introduction of our new representatives. 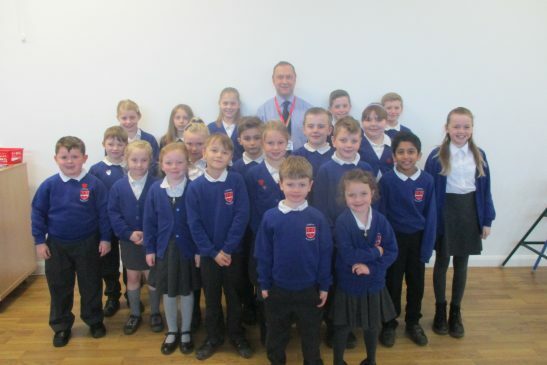 All School Councillors will need to follow the Code of Conduct. 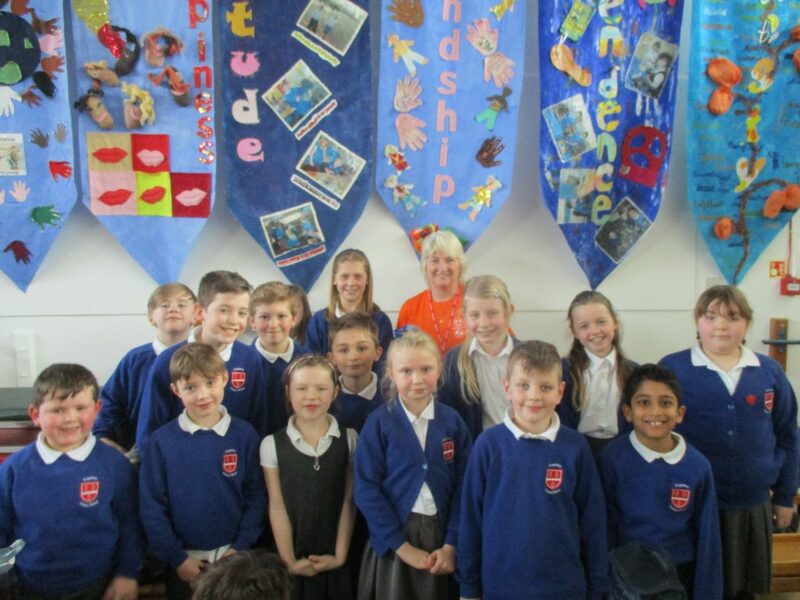 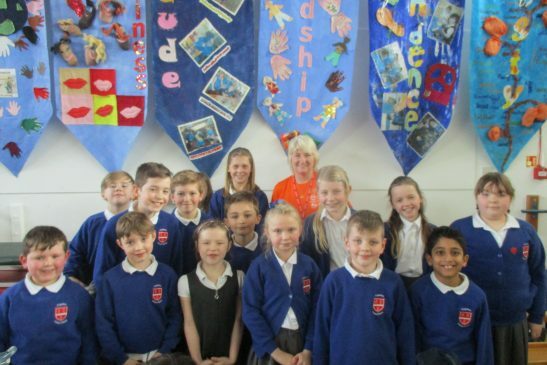 The School Council at Cogenhoe Primary School makes the school a safer place. We provide a voice for the children and take any requests to our regular meetings. 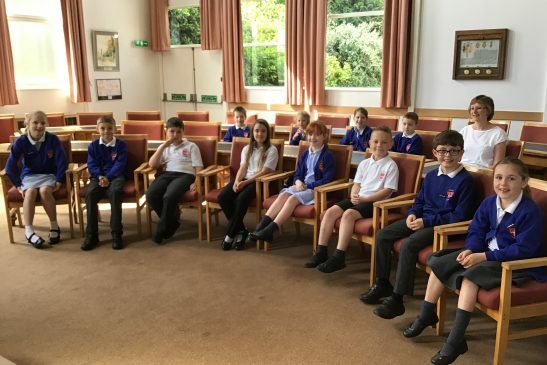 During our meetings we discuss how to make the school better, focusing on the environment and school grounds as well as the children. 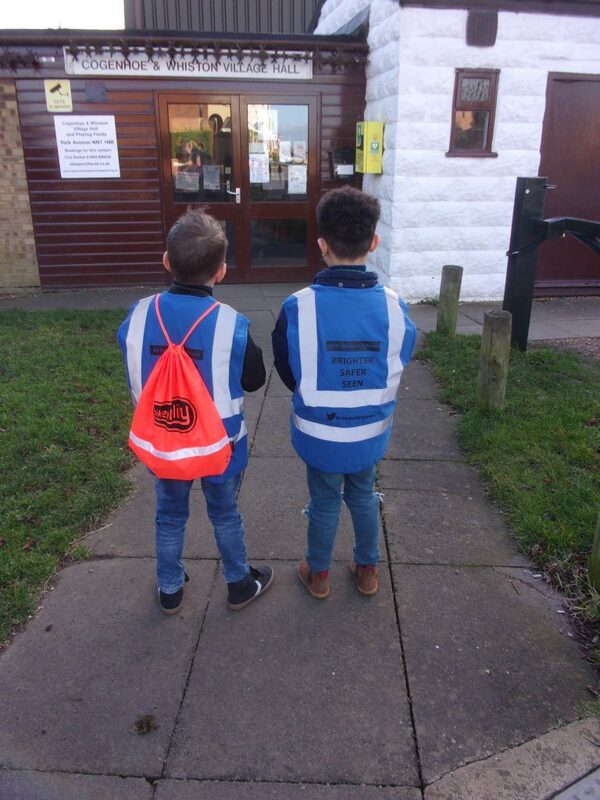 Keep a look out for regular updates and news on our projects throughout the year. To start off Health and Well-being Week Tessa Parkinson came in to meet the School Councillors as part of her ‘Challenge Tessa’ programme, where she is going to as many schools in Northampton as she can during Mental Health Week to raise awareness. We had to stamp her jumpsuit with our school stamp! 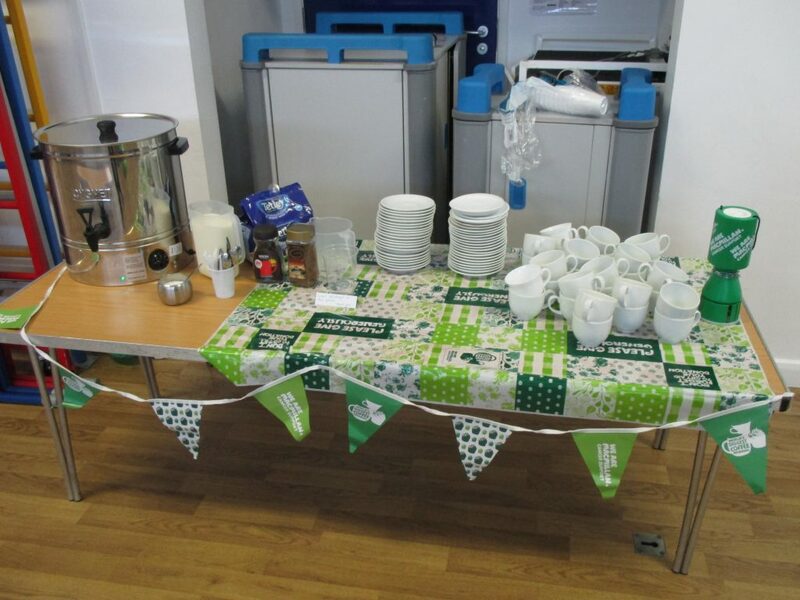 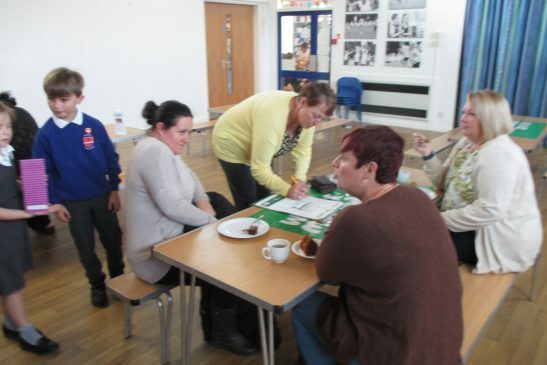 We have also held a coffee morning for the community to be able to come together for a cuppa and a chat! 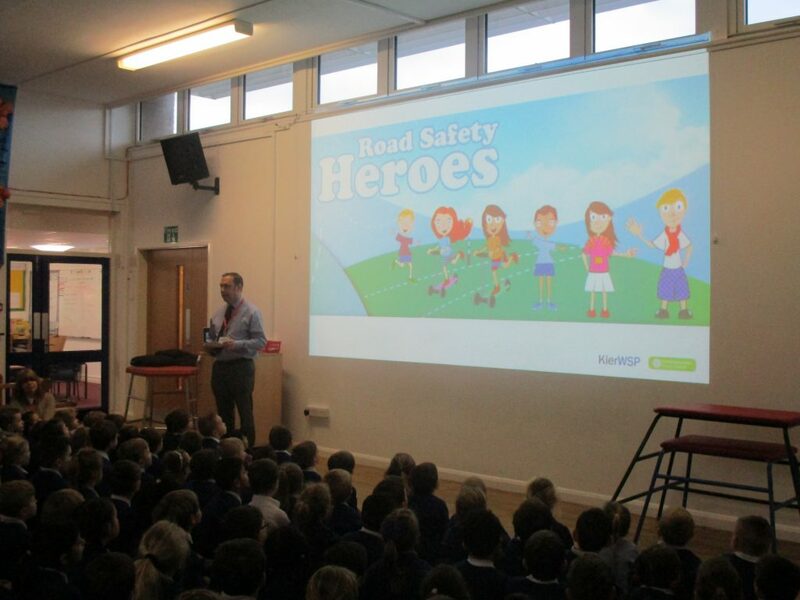 We have launched our Road Safety Heroes Campaign and are eagerly awaiting to see who they will be! 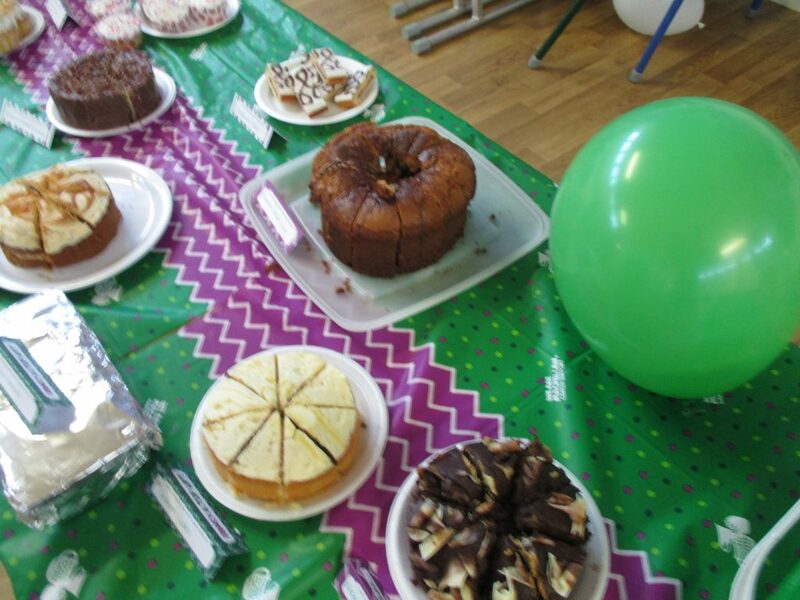 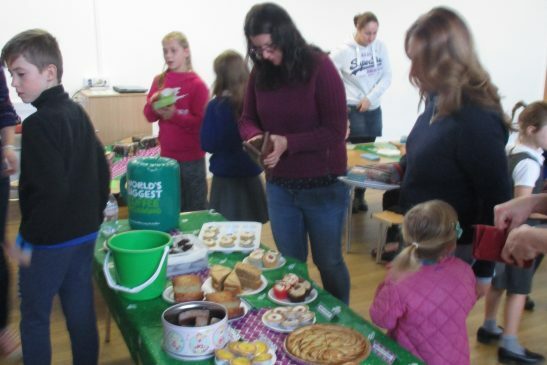 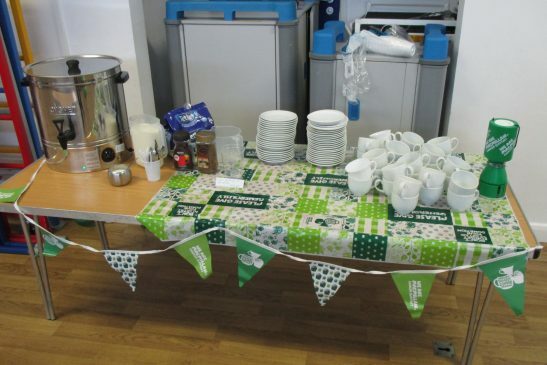 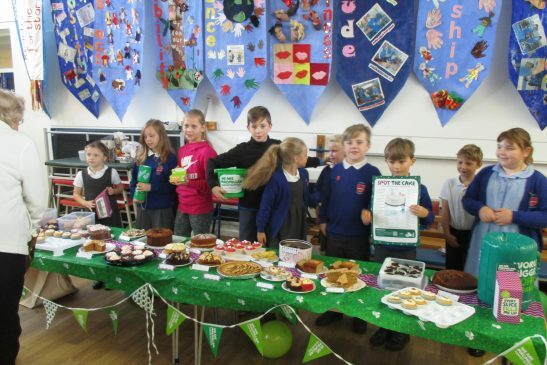 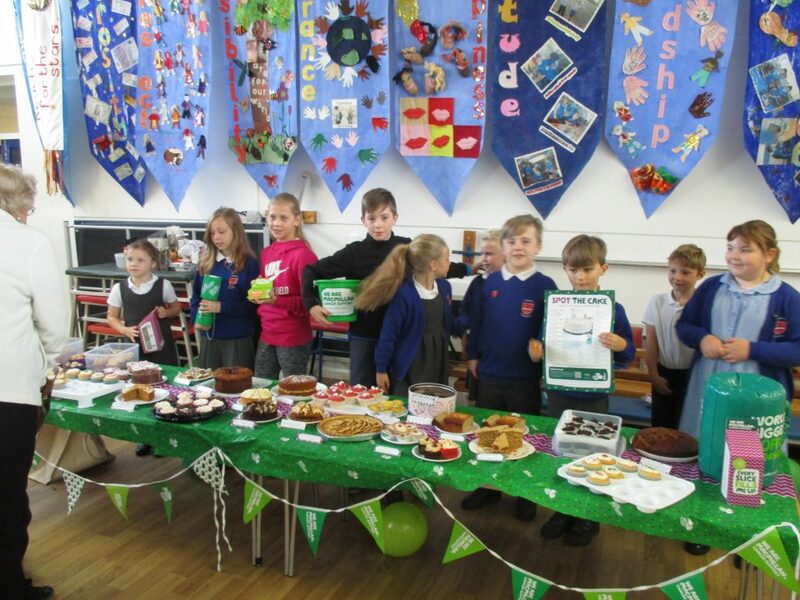 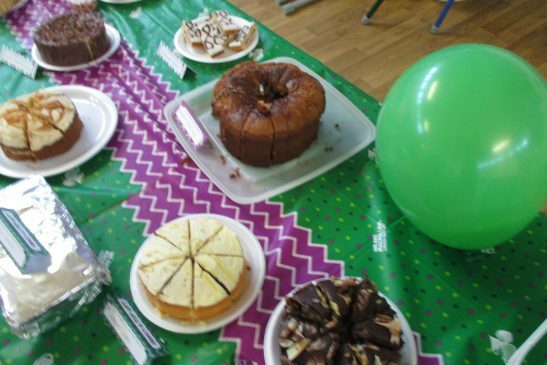 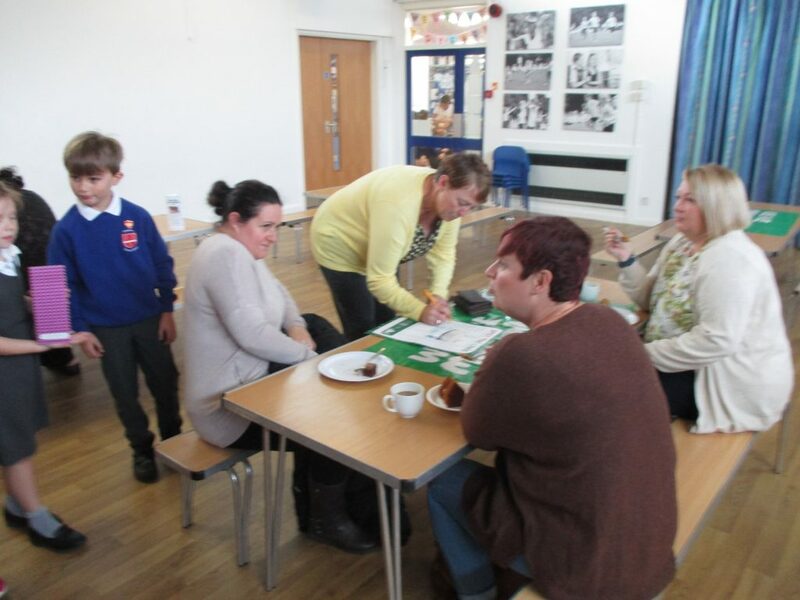 On Friday 21st October, Cogenhoe Primary School hosted a coffee morning to raise money for MacMillan. 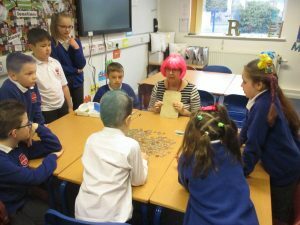 Parents, teachers and School Councillors all stepped in to help raise money. 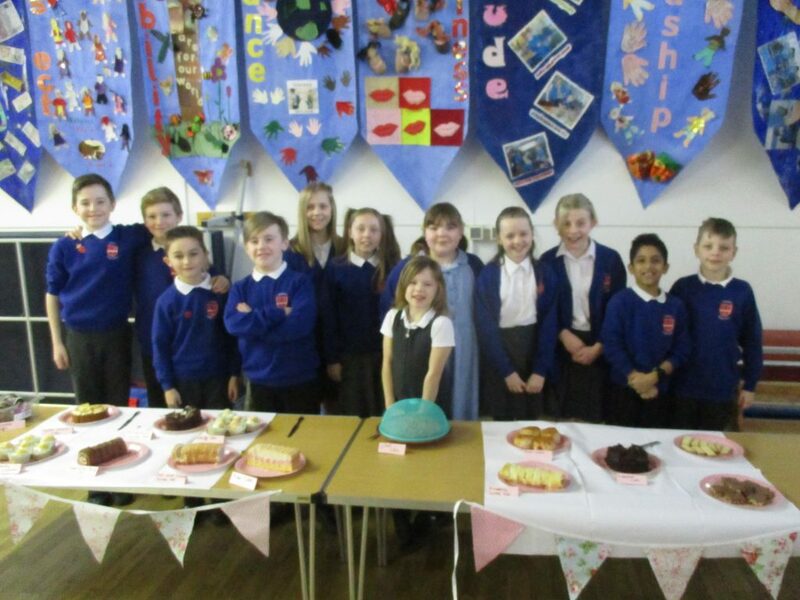 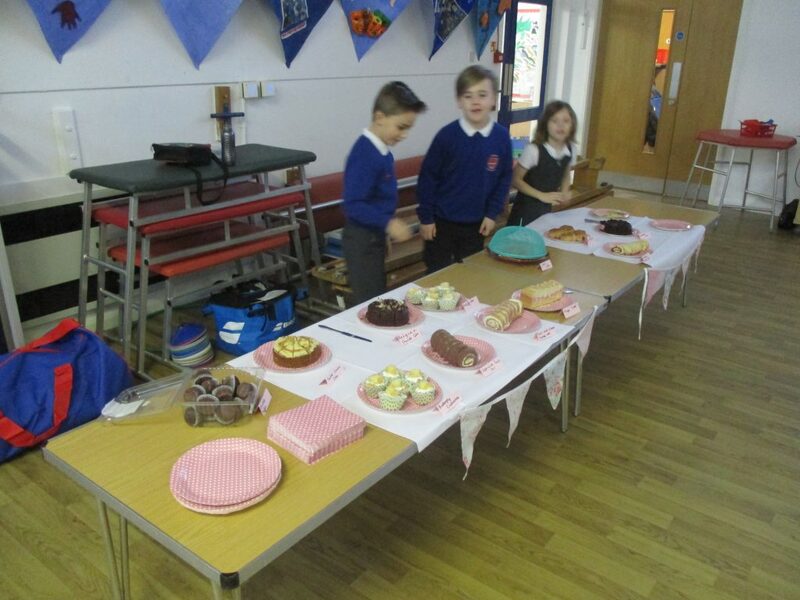 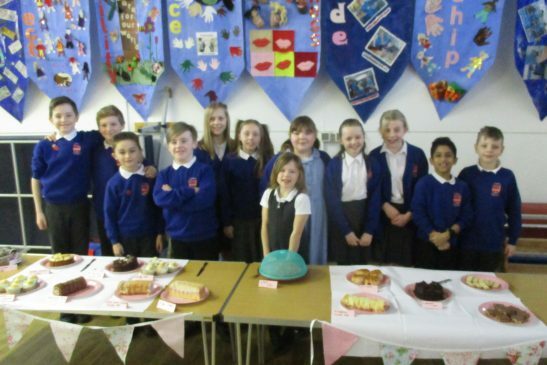 All the delicious cakes that were sold were donated by the parents, carers and children of the school. 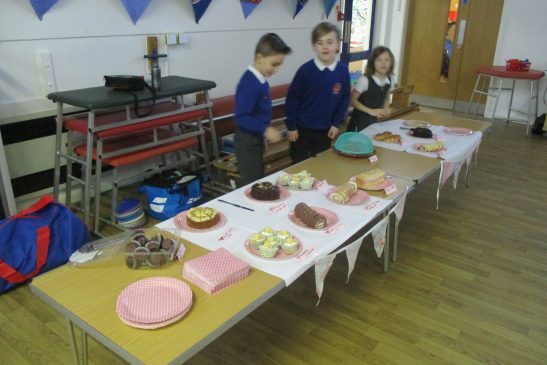 Thanks to them everyone had a wide and extensive range of delicious goodies to choose from such as; banana cakes, fairy cakes, chocolate cakes and many others. 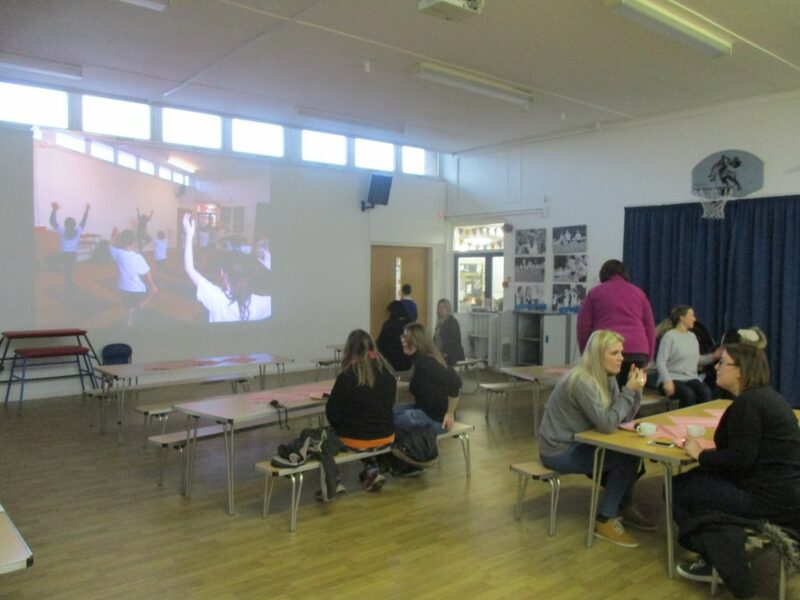 Furthermore, to create the school hall into such a welcoming and enjoyable place bunting, banners, balloons, inflatables and table cloths were all used. 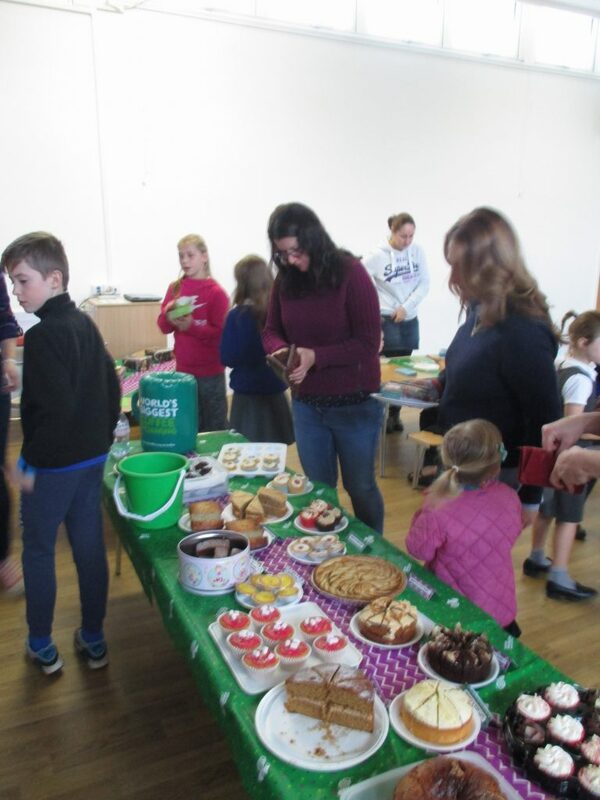 The coffee morning turned out to be a great success thanks to everyone at Cogenhoe Primary School £236 was raised!